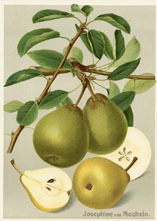 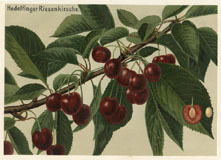 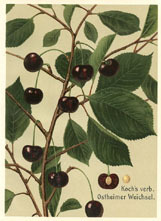 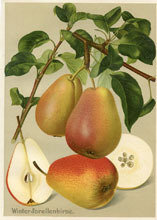 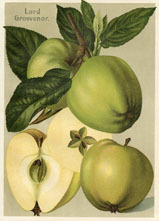 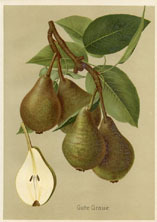 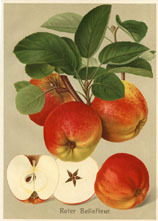 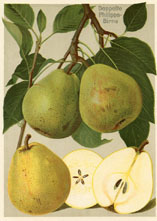 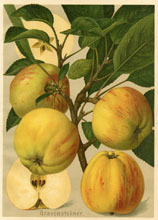 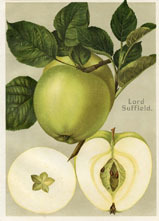 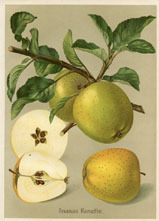 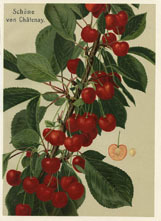 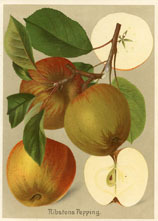 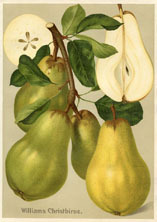 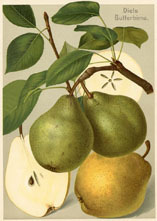 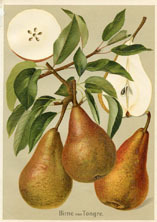 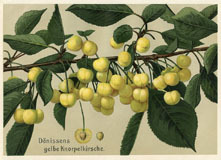 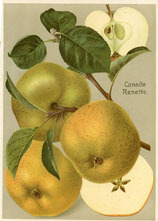 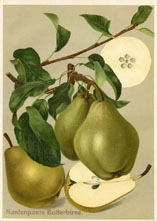 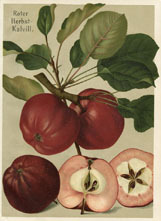 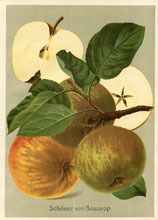 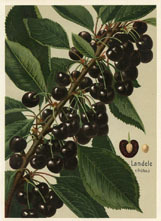 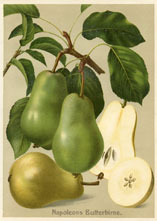 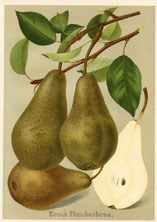 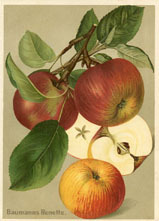 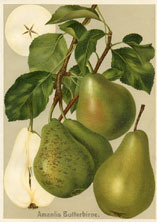 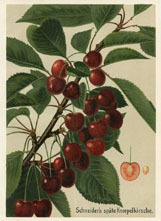 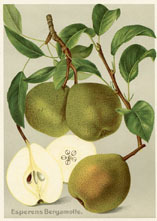 The fruit prints presented here are from a German fruit growers guide published in the early 1900s. 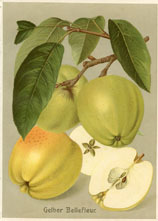 The guide was published in serial form, with each part in the series focusing on a different fruit. 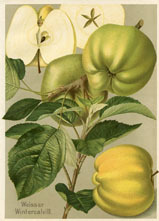 The prints are distinguished both by the detail of the illustrations and richness of the color. 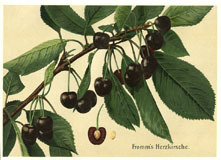 Each variety of fruit is identified by their German name.